Situated in the idyllic Scottish Borders countryside. Try your hand at CLAY PIGEON SHOOTING, ARCHERY or TARGET SHOOTING and feel the thrill of the shoot! We are an outdoor centre currently offering CLAY PIGEON SHOOTING, ARCHERY and TARGET SHOOTING from ages 12+. Our staff are friendly and attentive and spend time helping you individually and as a group to get the most out of your experience. Stay tuned as we will be adding more and more options of things to do at Don Coyote! CLAY PIGEON SHOOTING: Suitable for all levels of shooter hone your skills or try something new at the Don Coyote Outdoor Centre's custom made shooting area. Age 16+. 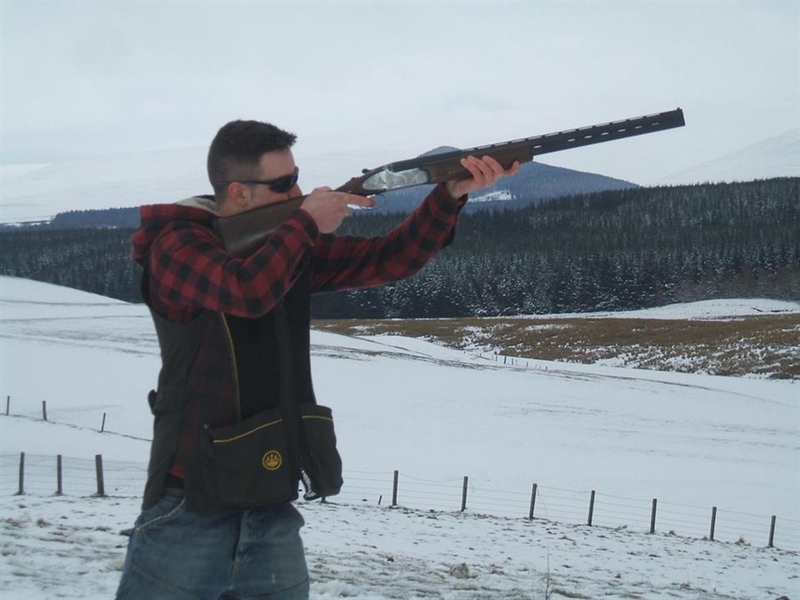 Expertise given by our Scottish Clay Target Association certified instructor. TARGET SHOOTING: Great fun, and absolutely addictive, you won't want to stop! Shoot at various targets including traditional paper targets, cans, paper rabbits and additional targets changed weekly. Age 12+. ARCHERY: Can you be the next Robin Hood/Katniss Everdeen/Merida DunBroch!? Why not try archery at Don Coyote, great fun and rewarding! Don Coyote is kindly sponsored by PSYBT.